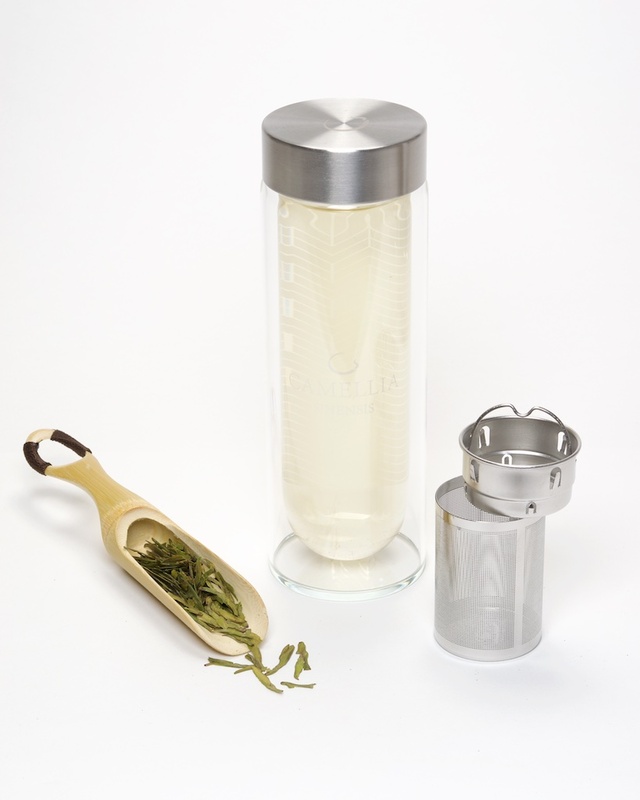 Here is a practical brewing vessel of amazing simplicity, designed for people who want to drink tea on the move. 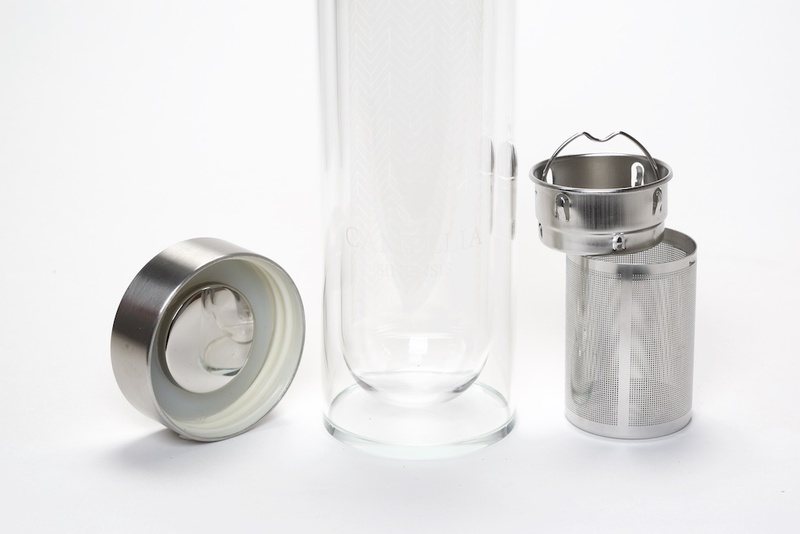 This flask is made of double walled glass with an airtight lid and a removable stainless steel filter. 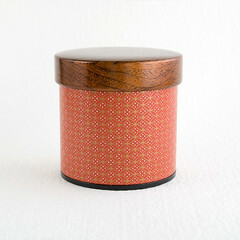 It allows you the choice to brew your tea leaves using the technique you find most convenient at the time. 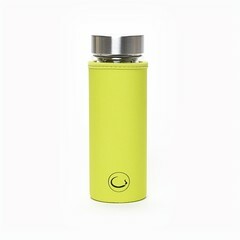 - Warm the inside of the flask with hot water for a few seconds. - Remove the infuser, place the tea at the bottom of the flask (1 to 2 tsp, depending on the type of tea selected) and replace the mesh sieve. - Pour in water at the recommended temperature. Wait a few minutes and enjoy. This preparation technique ensures that the tea is infused continuously. 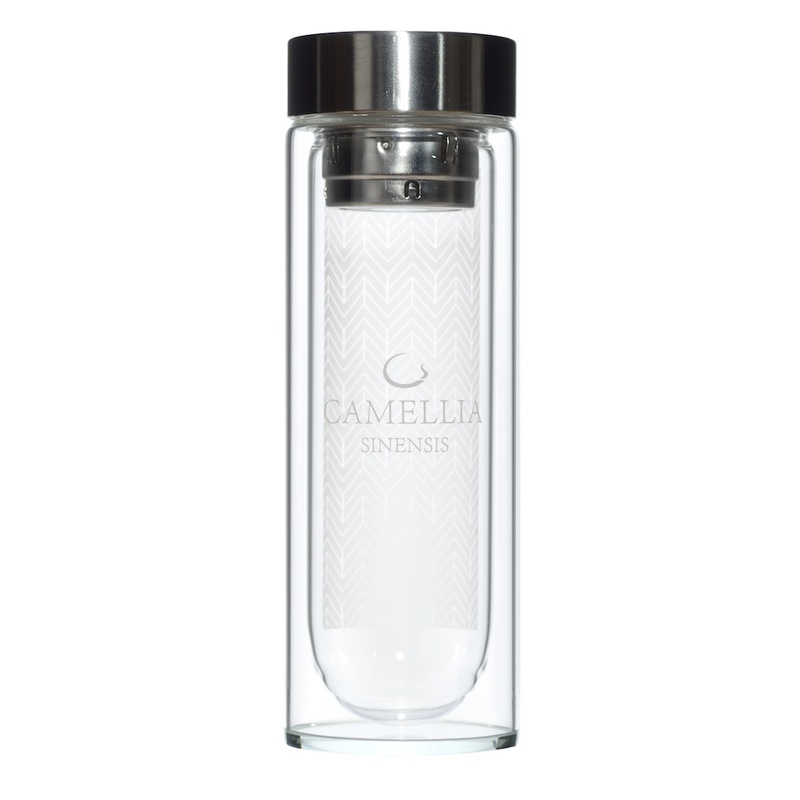 To avoid a too full bodied infusion, it is recommended to add more water at the correct temperature after drinking about half of the brew. Nearly all teas can be prepared this way. 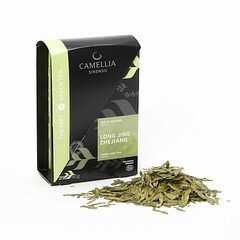 Only very finely chopped teas do not provide good results. - Remove the basket part of the infuser and put the tea leaves in the basket before reattaching the mesh sieve. 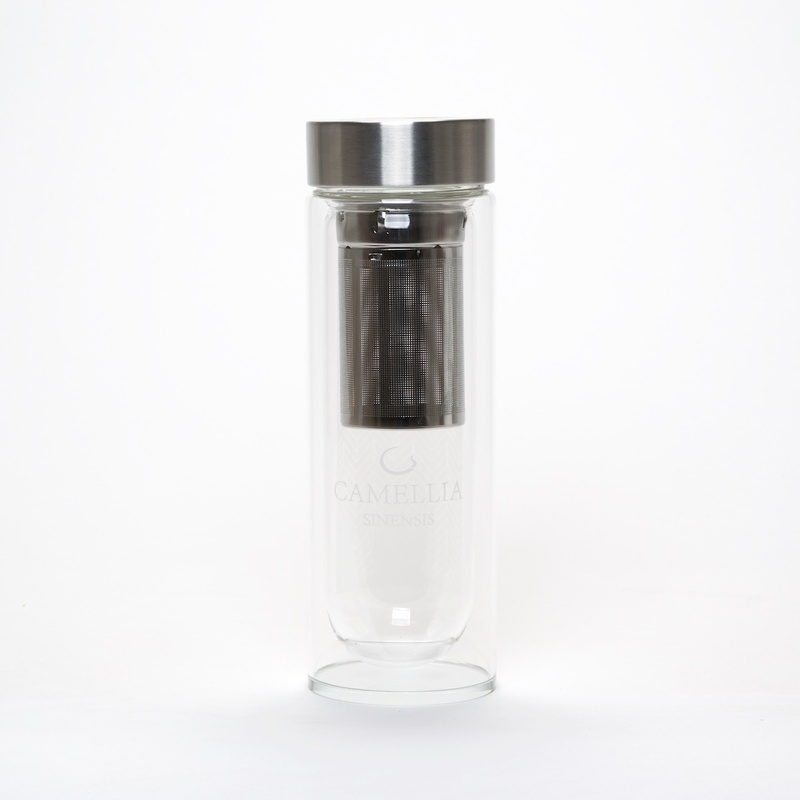 - Install the infuser in the flask and pour in the water at the recommended temperature. 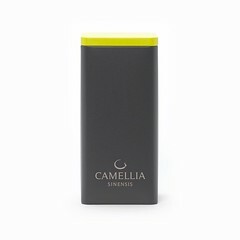 - Infuse for the time required, remove the infuser and enjoy. 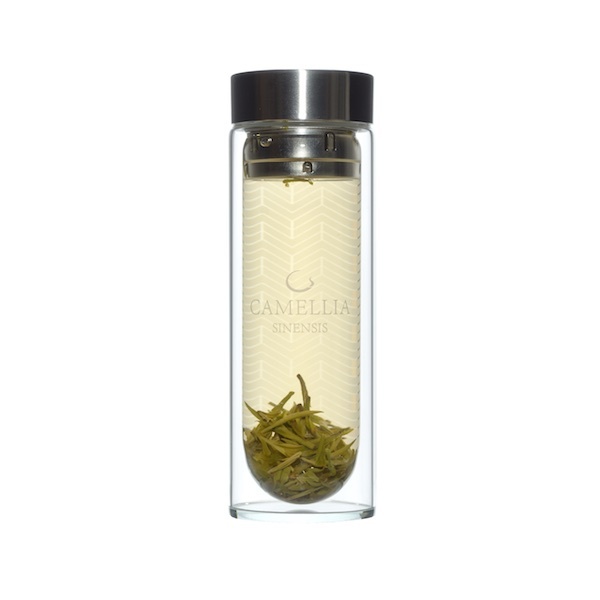 This preparation technique is suitable for all types of tea and allows you to control the development of the infusion to your own taste.